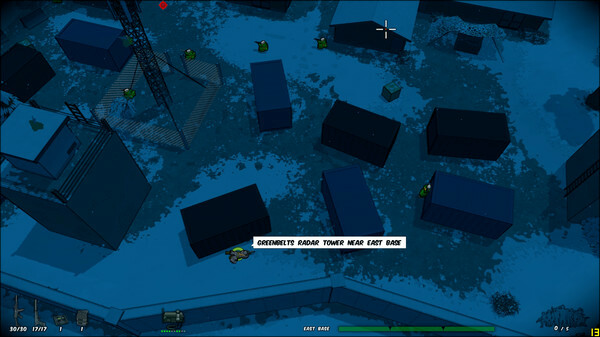 RUNNING WITH RIFLES is a top-down tactical shooter with open-world RPG elements.In RWR, you join the ranks of an army as a common soldier, just like the thousands around you.The open world approach lets you define your own path and story in the campaign. 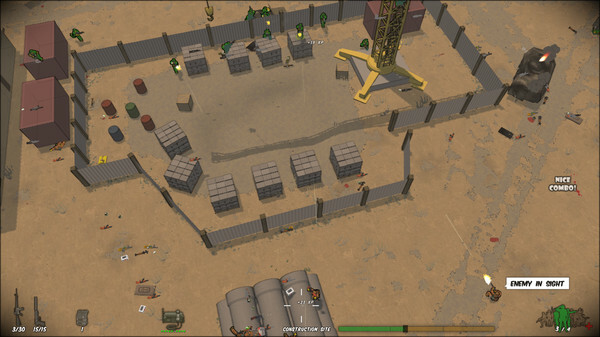 Push back the enemy with your comrades or go deep behind enemy lines to sabotage their efforts and loot valuable items.As you gain experience, you are promoted with higher command over soldiers and equipment. 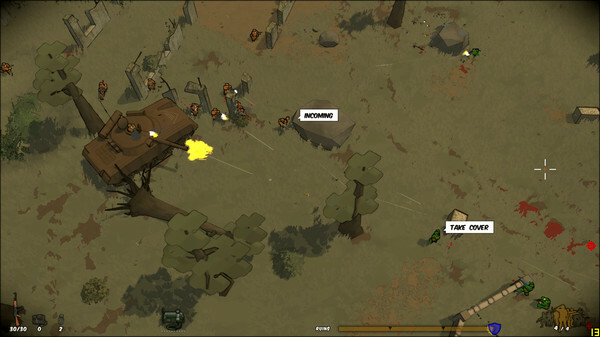 Call in artillery fire missions or paratrooper reinforcements when the situation gets tight! Use your squad to man armed boats, tanks and APC’s, or, become the expert lone wolf you always aspired to be – it’s up to you!KEY FEATURES hundreds of locations to explore from trenches to towns, deserts to snowy valleysemergent AI that will question if you’re as smart as you think you arerealistic cover systemdozens of different weapons, support and cover items, radio calls, vehiclesside objectives to keep you busy: destroy radio towers and other assets, steal cargo trucks, rescue prisoners40+ multiplayer support, dedicated servers, coop, PvP, PvPvEspeech bubbles!deaths and fails, a lot of them, including your own!…and of course, mods! Minimum:OS: Windows XPProcessor: 1.6 GHz Dual CoreMemory: 1 GB RAMGraphics: NVidia Geforce 6600, ATI x800, Intel HD3000 or equivalent with 256MB VRAMDirectX: Version 9.0cStorage: 600 MB available spaceAdditional Notes: Try out the latest demo to see if the game will run fine for you.